Q: How do I become CentaraThe1 member? Q: Is The 1 different from CentaraThe1? CentaraThe1Card is fully integrated with The 1 issued by Central Retails Corporation. Points earned on your spend at Central Retails Corporations will be credited to The 1 Card account while points earned on your spend at Centara Hotels & Resorts will be credited to CentaraThe1Card account which points can be transferred over between two accounts for rewards. 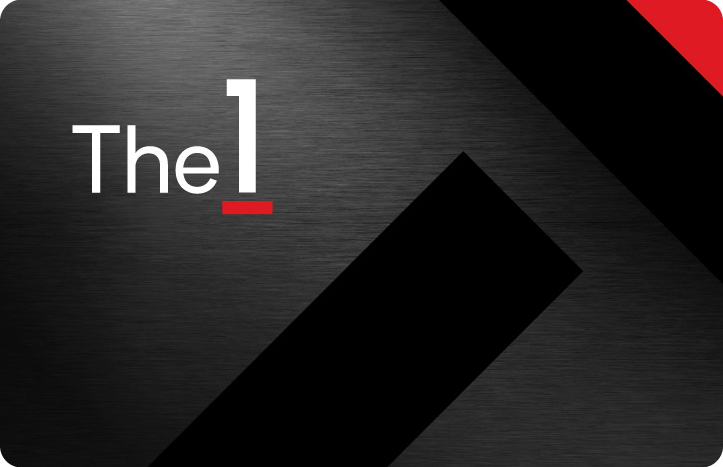 For any query regrading to the accumulation of points earned with The 1 Card, please visit www.the-1-card.com. Q: I'm already The 1 member, do I need to enrol in CentaraThe1? 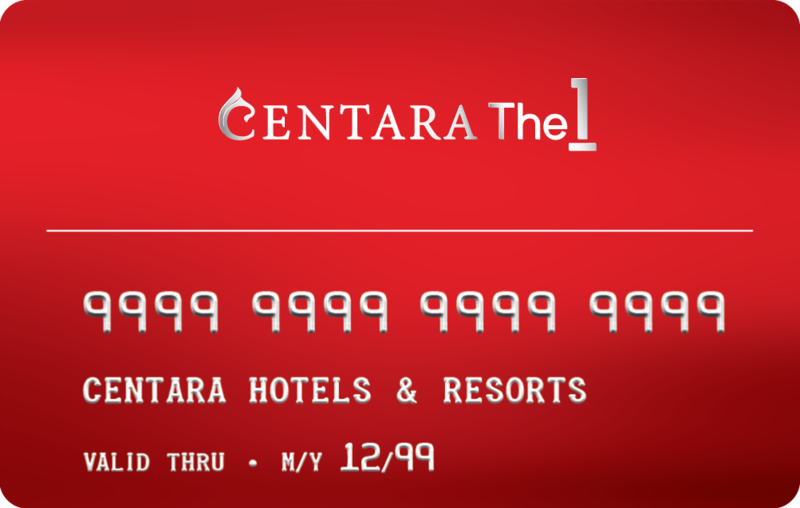 Thai residents and expatriates who already have The 1, you may request to register at www.centara1card.com/signup before earning points at Centara Hotels & Resorts and please continue to use your existing card issued by Central Retails Corporations. Points issued by CentaraThe1Card is managed by Centara Loyalty Management, which is different from The 1 Card. No, there is no membership fee. Q: Will I receive my membership card after I recently enrolled? When you enrol online, you can print a virtual card on the My CentaraThe1 page. If you enrol at front desk, you will receive your card immediately at the hotel. Q: What are the different membership status in CentaraThe1? Q: How many points do I earn when I spend at any Centara Hotels & Resorts property? You will earn 5 points per 30 Thai baht or 1 US Dollar for eligible rates and eligible charges, including dining, spa treatments and laundry paid for by CentaraThe1Card member. You will earn 10 points per 30 Thai baht or US Dollar for eligible rates (such as public, corporate, Centara Best Available rates) and any rates when booked through www.centara1card.com or www.centarahotelsresorts.com. Q: How many points do I earn when I spend at any Central Retail Corporation? You will earn 1 point per 25 Thai baht purchase at Central Department Store, Zen Department Store, Robinson Department Store, SuperSports, B2S and HomeWorks and 1 point for every 50 That baht purchase at Power Buy and Office Depot. Full details of earnings can be found on The 1 Card website. Q: How many rooms can I earn points for per stay? You can earn points for up to 9 rooms where you have booked and paid under your name but the number of eligible nights is based on the Member's room only. Q: What are eligible rates? Q: How long will it take for my points to be credited to my CentaraThe1 account? Points will be credited to your account after check out within 7 working days. Earning points before member registration are completely not valid. Q: if my points have not been credited, what should I do? Sign in to your account and submit a Missing Points Report. Q: Can I earn points for a recent stay prior to my enrollment? CentaraThe1 points can not be retroactively credited for stays prior to enrollment. Yes, CentaraThe1 points are valid for 2 years from date of check out or purchasing. You can transfer points to or from The 1 Card, however, any tranferred points will be valid for 12 months from the date of transfer. Q: How can I use my points? You can redeem your points for free stays with no blackout dates, gift vouchers, cash + points and more. Also you can find out how many points needed on the Redeem page. Q: Can I change or cancel a reward night? Q: How many points do I need to redeem a free stay? The point redemption rates are dynamic and changes as the room rate varies. See the room redemption page to find out. Q: Can I redeem points for more than one room on the same night? Q: Can I give a free night to someone else? Yes, you can. Sign in to your account and go to the my centarathe1 page. You may change your password online after signing into your account and clicking on 'My CentaraThe1'. Q: How do I update my CentaraThe1 information online? You may change your information after signing into your account and going to 'My CentaraThe1', clicking on 'Edit Profile' to update your account information. When you sign in to your account at centara1.com. Select 'My CentaraThe1' and 'Account Summary'. Or, you will receive your account activity in a quarterly eStatement. Q: Can I transfer my points? CentaraThe1Card points cannot be tranferred to other members'accounts. However, you can transfer CentaraThe1 points to our partners such as The 1 Card or vice versa.